When my boys were in fifth grade, I chaperoned their Washington, D.C. trips. ON each trip, one of the highlights was going to Arlington National Cemetery to see the changing of the guard at the Tomb of the Unknown Soldier. It was a solemn event each time, one that caused chills to run down my spine. Of course, those fifth graders had been well-prepared for the event. Their teachers had taught them to be respectful during these long minutes of watching the soldiers march slowly, solemnly, dignified before the tomb. It brought tears to my eyes each time I witnessed that ceremony. 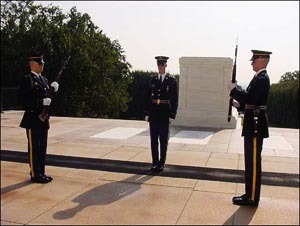 On Monday, I witnessed another “changing of the guard.” It was not a formal ceremony; it was a quiet passing of “duty” from one person to the next. For years, the Peak Recreation Association has sponsored community barbeques on the Fourth of July and at Labor Day. Everyone is invited. Dr. Joe has done the welcome for so many years; I cannot recall a time when he did not. Until July 4, 2016. Doctor Joe handed the duty to a younger man, the new president of the Peak Recreation Association. It was one of those solemn moments for me. The “old guard” is passing, and a new one is replacing it. In the past year, my father, Ms. Anne Shealy, and Mr. Lewis have all passed away. Daddy was eighty-eight years old; Mr. Lewis was eighty-one. 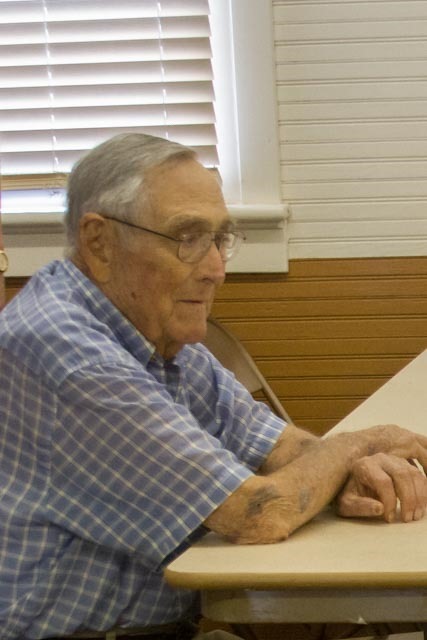 Of the “old guard,” only Dr. Joe is left, and he, too, is in his eighties. This old guard loved their community. Daddy was a life-long resident of the Peak community. In fact, the old school building where we gather for these meals, is the same building where Daddy started school—one of those old one-room school houses where multi-age classes were the norm rather than a fad. When the Peak School was closed, the building did not fall into disrepair but became the community center. These men, Mr. George, Mr. Cease, Mr. Neil, Daddy, Dr. Joe, Mr. Lewis—all of them took pride in their home, and the community center and recreation commission have thrived and flourished. When Stanley stood up and gave the welcome, he paid tribute to that old guard. He also made sure that we knew that Peak is left in good hands with the “new guard: Stanley, Elaine, David, James, and others will continue to make sure that this little town and community will survive. The Old Guard has passed their duties to the new.